June's Common Thread Give-Away Artist is Jon Katz. He is giving away a personally signed 5" x 7" photo of "Timeless Fanny" printed on digital paper by George Forss (NOT pictured here). Simply go to his wife, Maria Wulf's website to leave a comment for Jon, and perhaps you will be the winner. In my last blog I addressed the need for brave citizens to speak up and support individual rights whenever they are violated. Jon Katz is busy doing just that. With his photographs, books and blog he defends what is most dear to him: the rights of all animals to be cared for and treated with dignity and respect! 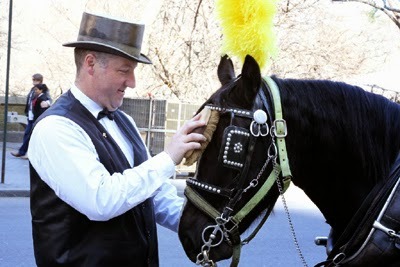 His recent defense of the rights of carriage horses and their drivers to work in New York City's Central Park is a fitting extension of Jon's heart and passion. He is voicing loud and clear that to usurp their rights and "put them out to pasture" is a gross injustice to both the horses and their drivers. 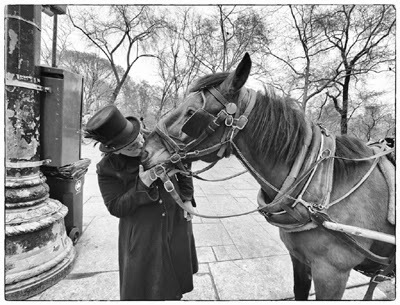 I respond to this debate, as I would to any other threat to individual rights, by supporting Jon and the rights of these carriage horses and their drivers to live and work in NYC. I do believe that this is still "the land of the free" and that no one has the right to take away another's rights. This country is defined by our constitutional rights, whether or not they represent our own individual preferences. Power and might should not rule. Individual rights are the very heart and principle that our country was founded upon, and toleration for each other's rights is a cherished and protected value of this country. Laws protect them, but sometimes they are not enough when others attempt to squelch them. Individual rights need to be protected at all costs, for where another's rights are violated, indirectly so are ours! In reading Jon's blogs, I am blown away by those that think it is somehow cruel and unjust for horses to work. 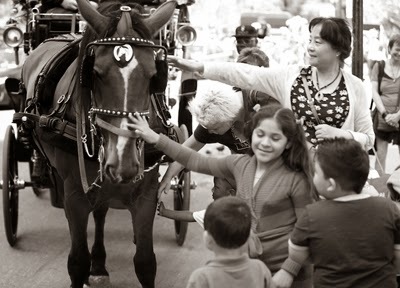 Horses have been used for transportation and work for generations. 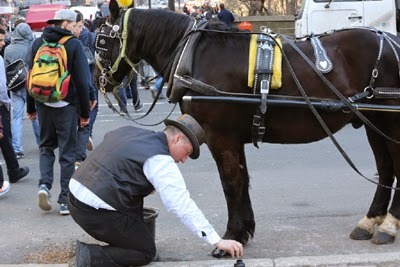 Pulling carriages, wagons, and plows has never constituted "abuse". Doesn't the word horsepower come from their history of being used to provide the strength that their bodies have by their inherent design? What is abusive about horses using their long lean muscles that were designed for that very purpose? It seems to me that not having them use their muscles would in fact be robbing them of their health, as well as their life purpose. Horses have been domesticated for generations and have proved to not only be of service, but also demonstrate their ability to form lasting and affectionate relationships with human beings who care for them. 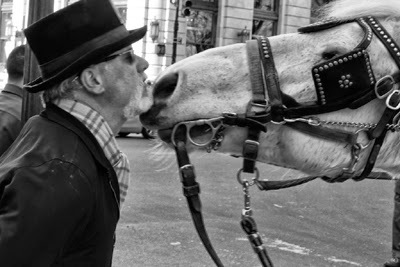 Both horse and owners thrive in their mutually pleasing service to each other. It seems that rendering them to "pastures of unemployment" would be no less harmful than it is to human beings to be robbed of their purpose and contribution to society. Such loss of purpose is totally demoralizing to both people and animals alike! So what is the problem with letting horses continue doing what they do? Safety would be the only reason to not allow this trade, but this has been found to be an unwarranted concern. 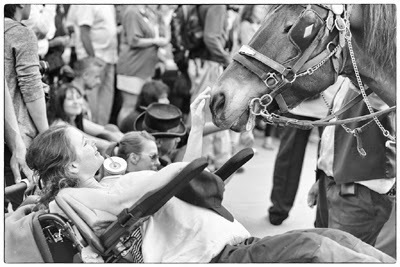 Jon has pointed out in his articles, the risks to these horses is not unlike the risks to ourselves. 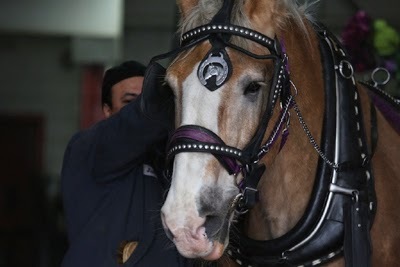 Horses' have health issues like our own and pulling a carriage is not what causes them. Using their large muscles to move carriages about is within their power, and doesn't harm them anymore than walking does for humans. Our bodies and their's are designed to move about as well as perform activities that strengthen them. It seems to me that restraining them from such function would be to restrict them from what is in fact healthy for them to do. 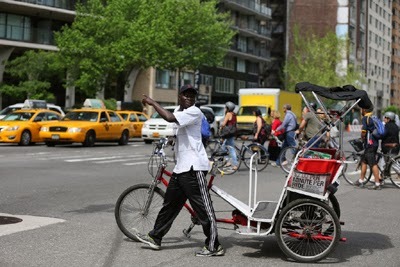 Replacing them with motor cars might be some peoples' dream, though I would have to ask, "Don't we have enough motor cars in New York City already?" Bike drawn seats are also an alternative. 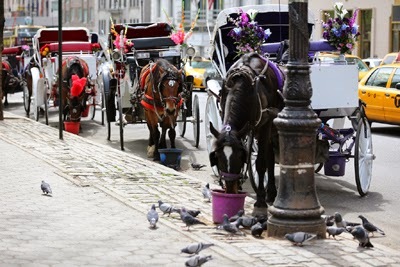 I will let you view this option and compare it to a horse drawn carriage ride and let you decide which you would prefer! Is this the way you would prefer to travel? Or would you prefer this ride? So hats off to Jon Katz and others like him who speak up loudly and fight for the individual rights that we all cherish. We all need to "live and let live" and be tolerant of the rights of others, for within that tolerance is the very tolerance for our own personal rights as well. Guarding against precedents of inappropriate personal power is a job for all citizens and we thank you Jon, for being one of the brave Americans that is courageously speaking up loud and clear regarding an issue, the basis of which affects us all! We are so proud of you and the work that you are doing! (I likely don't have to tell you that these are Jon's photo's. 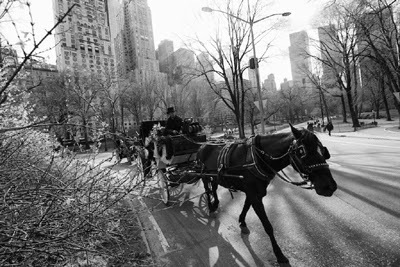 He makes a compelling case to save the rights of these horses and their drivers to continue this wonderful service to those in New York City! 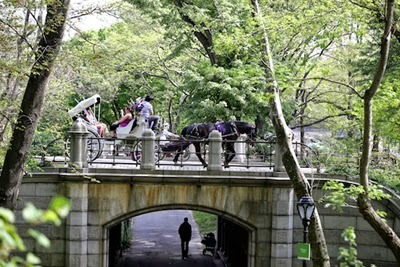 To support The Famous Horse Drawn Carriages of New York City's Central Park let your voice be heard.